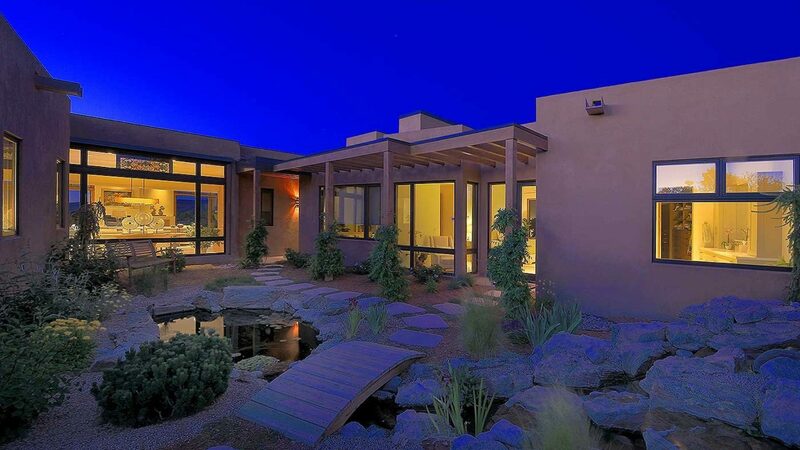 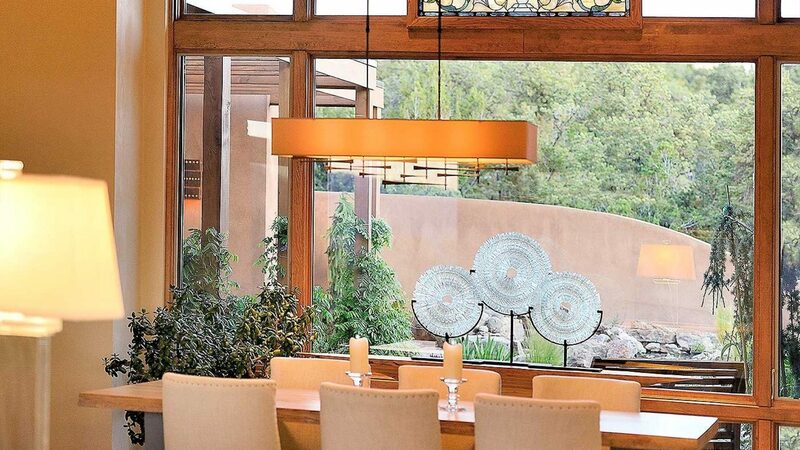 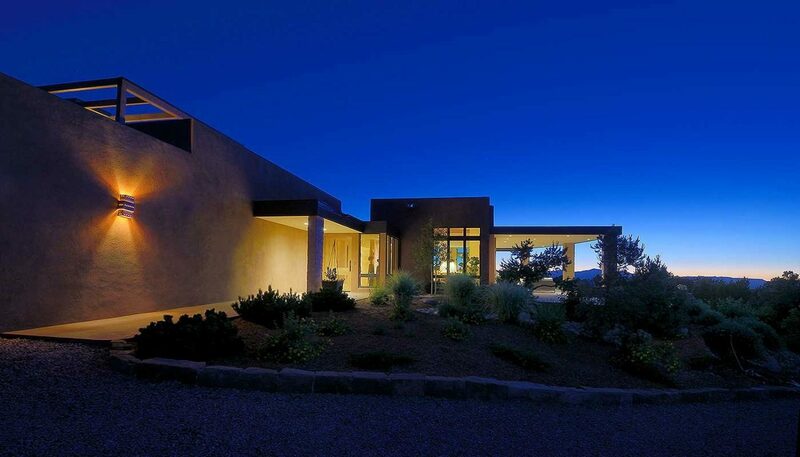 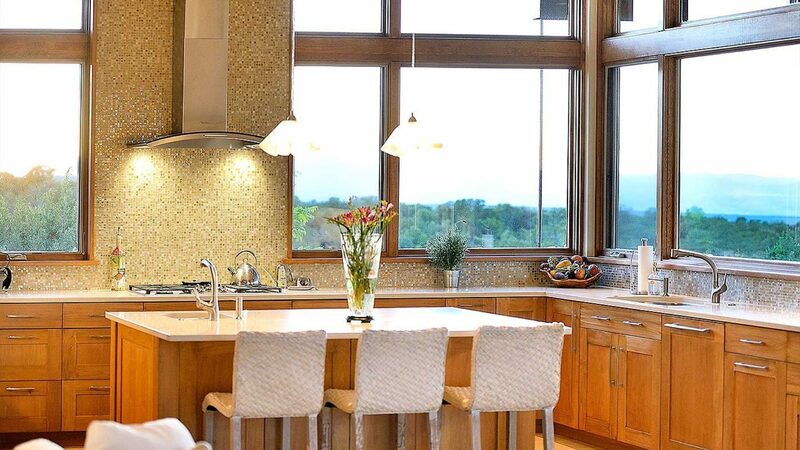 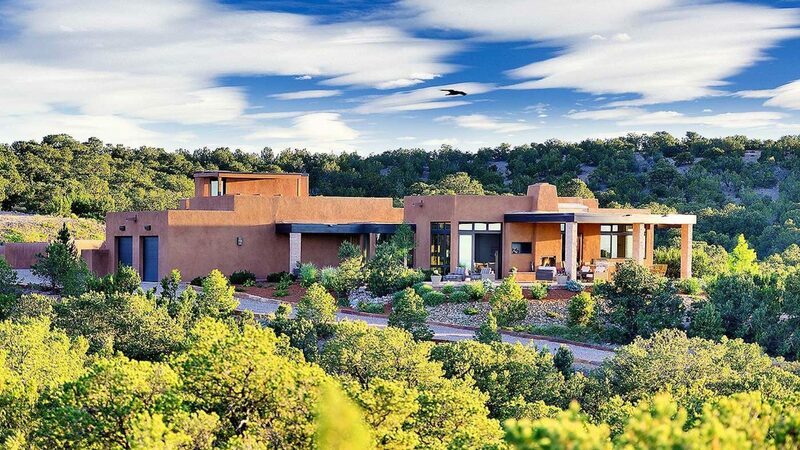 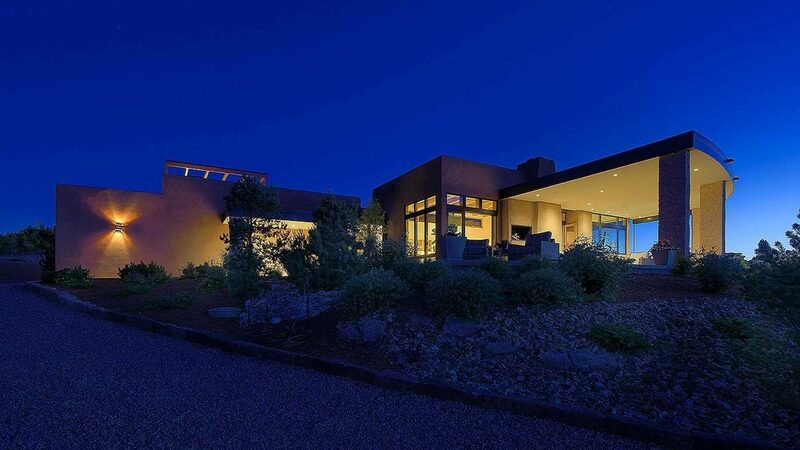 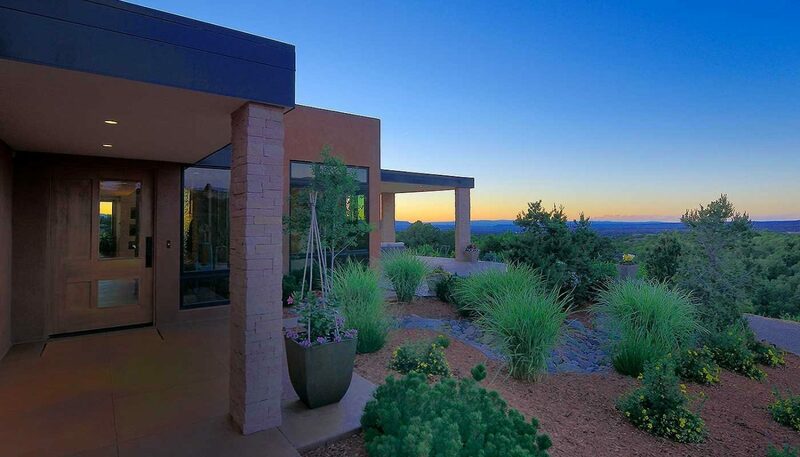 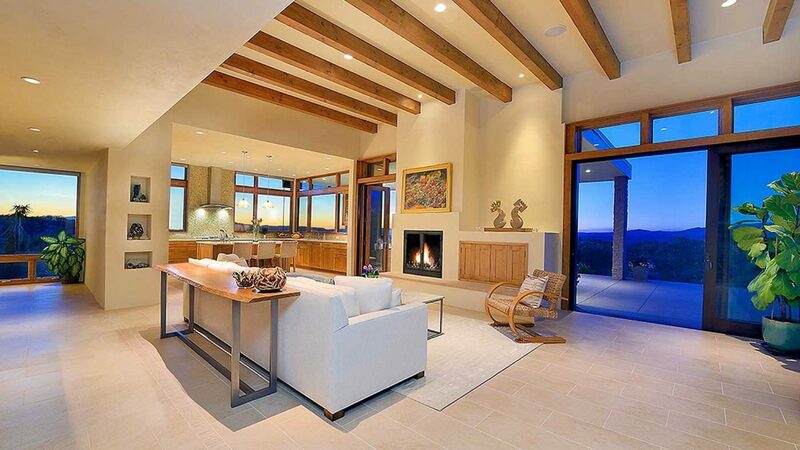 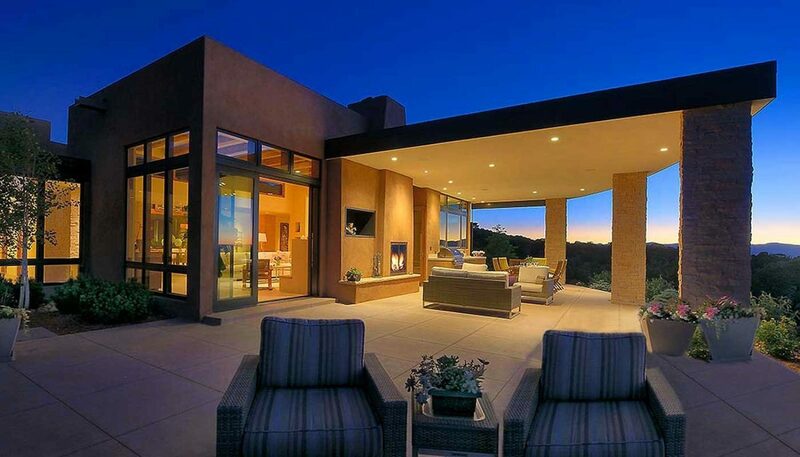 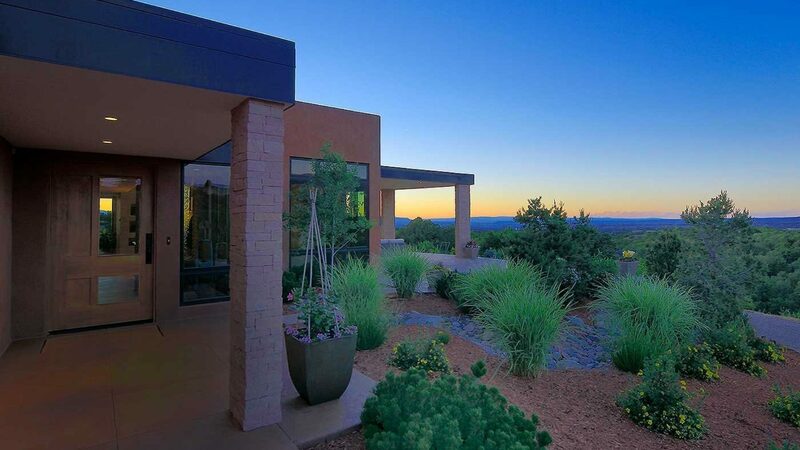 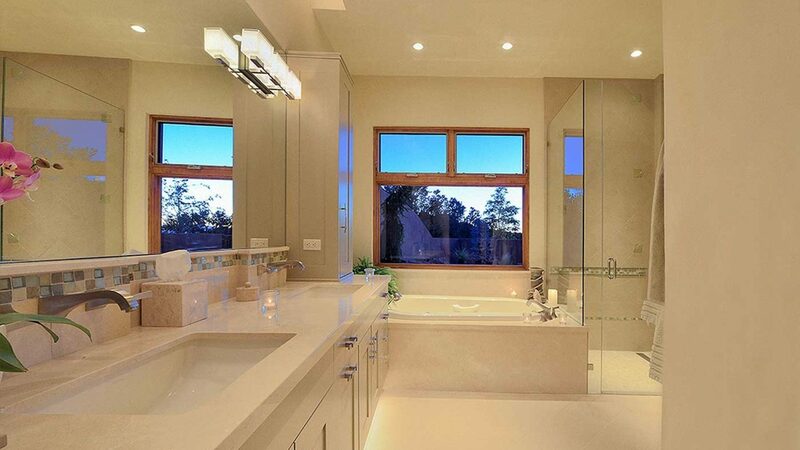 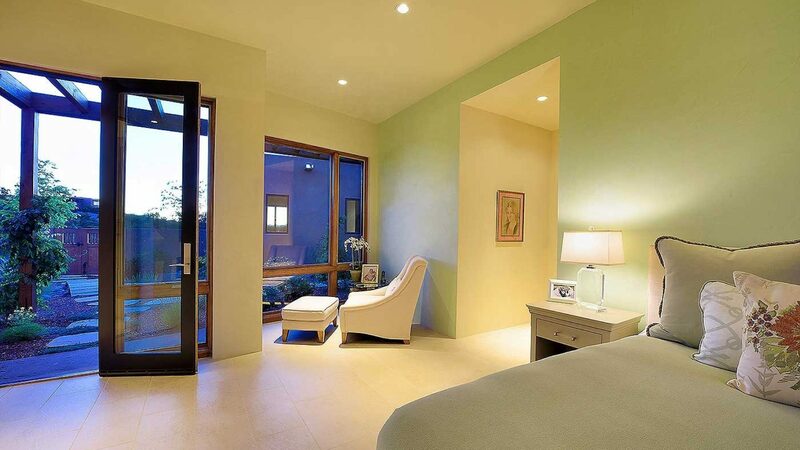 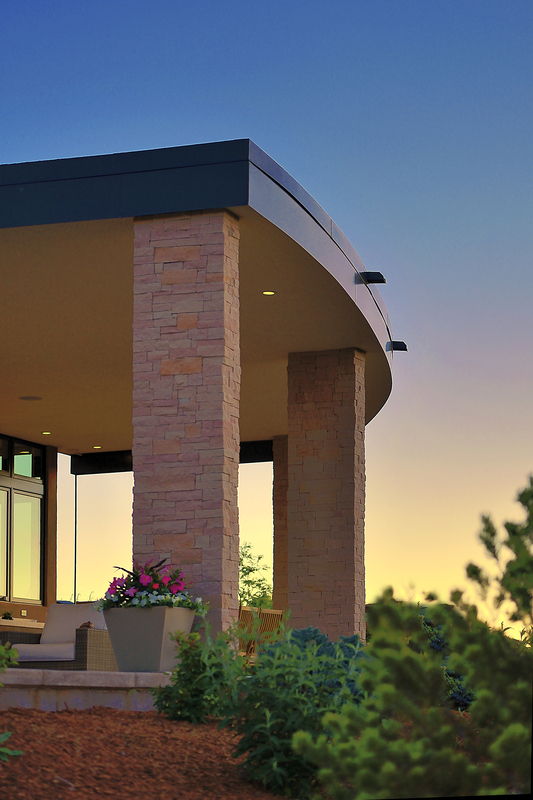 This fabulous soft contemporary home is just minutes north of downtown Santa Fe in the posh Monte Sereno enclave, perched high in the pinons, and perfectly positioned for expansive views of both the Sangre de Cristo Mountains to the east and the Jemez/Badlands to the northwest. Between sweeping outdoor portals, surrounded by lushly landscaped gardens, this custom home offers all of the comforts of luxury living, seamlessly flowing between the indoor/outdoor elements. Special features include a private enclosed courtyard, accessible off the master bedroom, serving as a zen sanctuary, complete with a live koi pond. 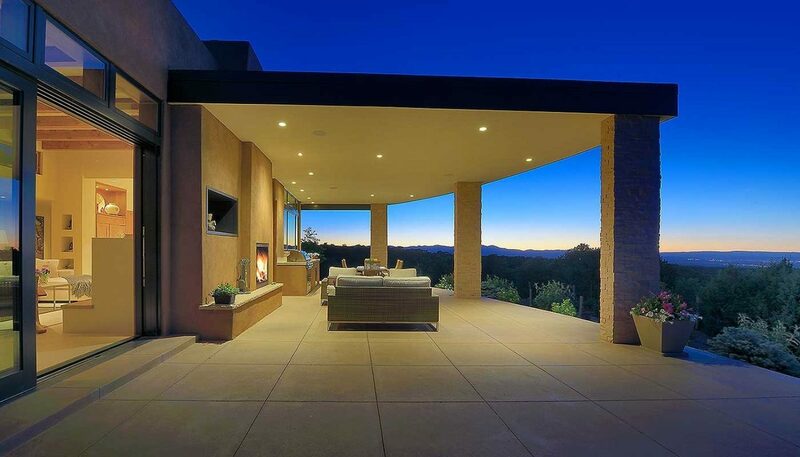 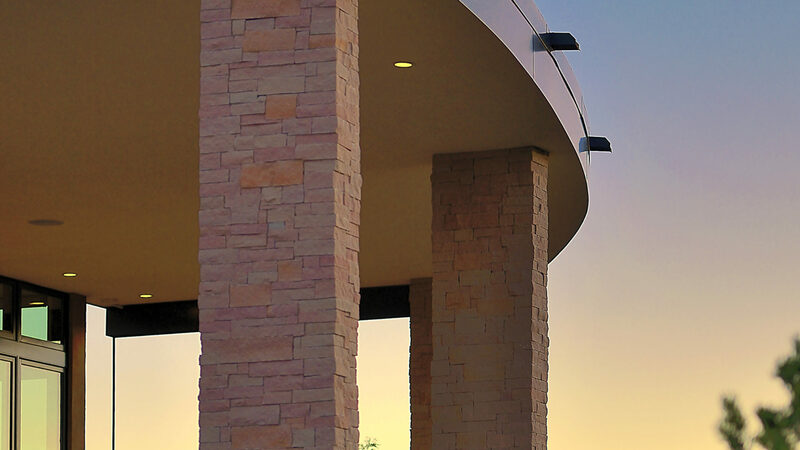 As evening approaches, one can ascend the single staircase to the rooftop hot tub to luxuriate under the beautiful New Mexico starlit skies.